Ear tattoos are extremely trendy and famous and people love getting them to look cool. 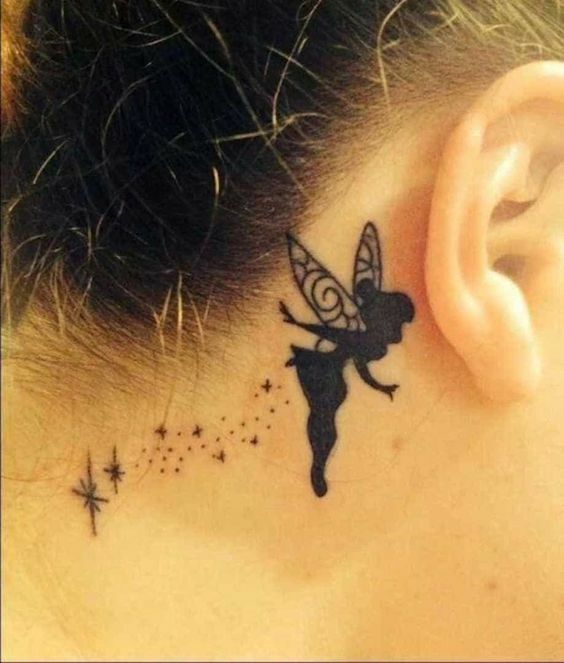 Look at how gorgeous this Tinkerbell tattoo looks which has been made on the back of the ear. 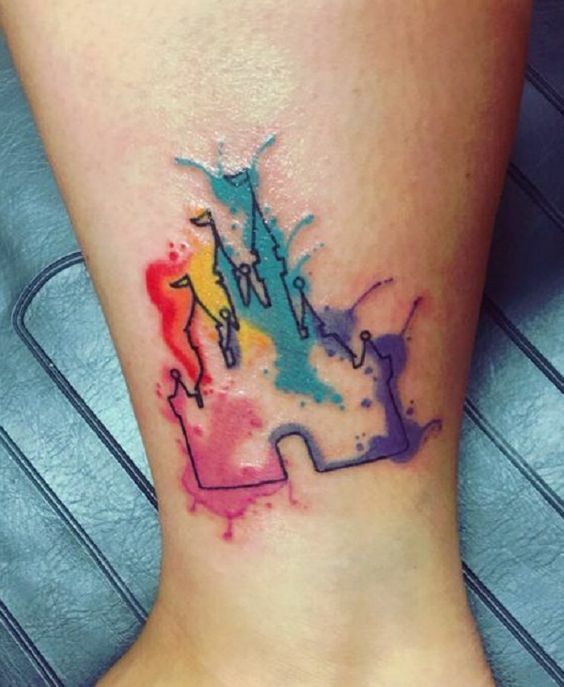 This tattoo looks super magical and is perfect for a Disney fan. 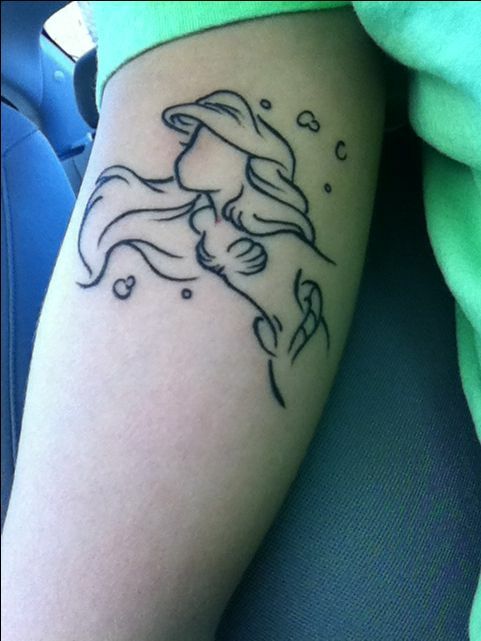 Disney lovers I have a tattoo which you are surely going to fall in love with. You all must be familiar with the semicolon tattoo and how famous it is. 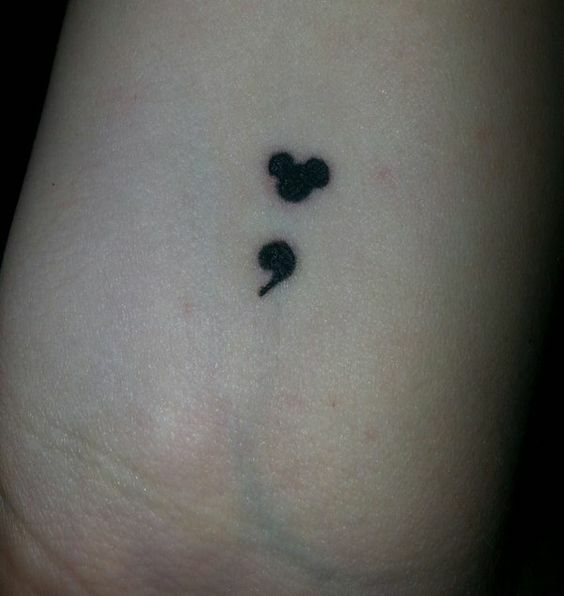 Well, look at his tattoo in the semicolon form but the colon has been replaced with mickey mouse. Disney is something every child has an association with. Not only children, even the grown-ups like watching Disney shows and movies. 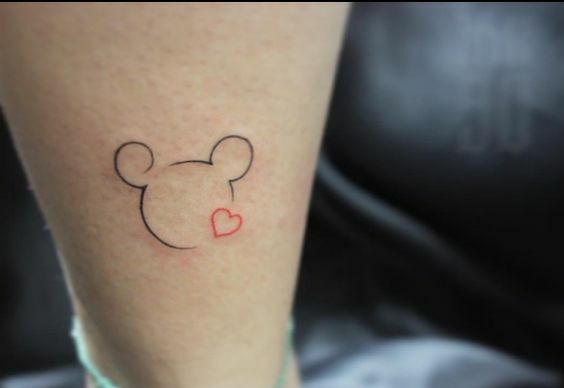 For a crazy Disney fan who loves to believe in magic, here is a simple and magical tattoo that you can get made. 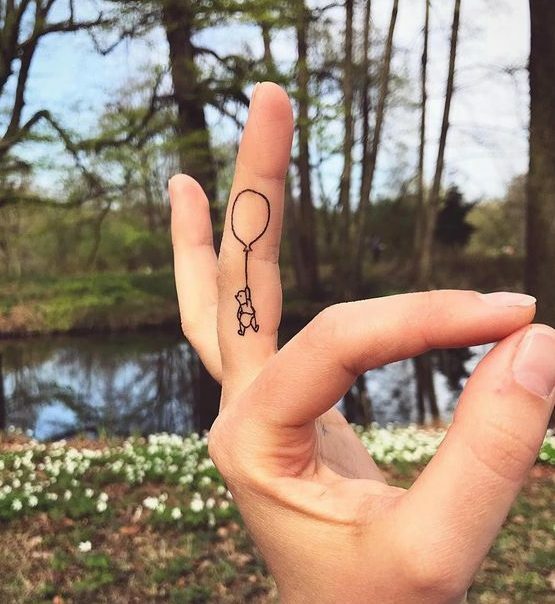 Minimalist tattoos have kind of taken over the tattoo world as they are perfect for even people who are not fans of tattoos. 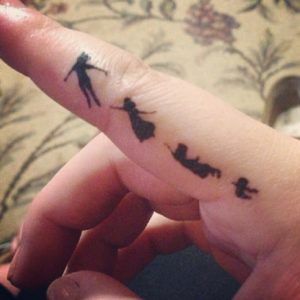 Look at how lovely this minimalist Disney tattoo is which has been made on the side of the finger. Nowadays, the subtle tattoos are more popular and loved amongst many people. Some people love getting them as they are simple and have tiny size. 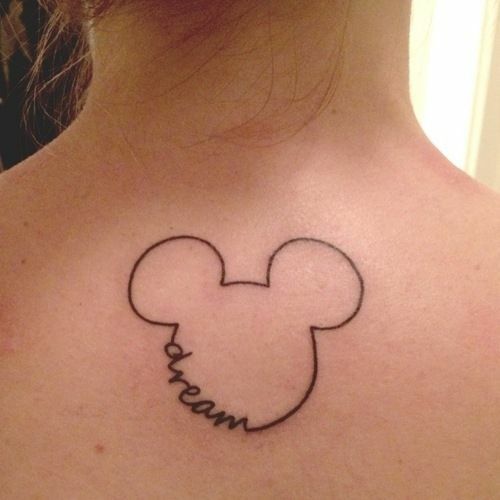 Look at how amazing this subtle Disney tattoo is which has been made at the back of the neck. If you don't know about the rose then you are not a true Disney fan. Disney lovers love getting a rose inked on their body as it is from the movie Beauty and the Beast. 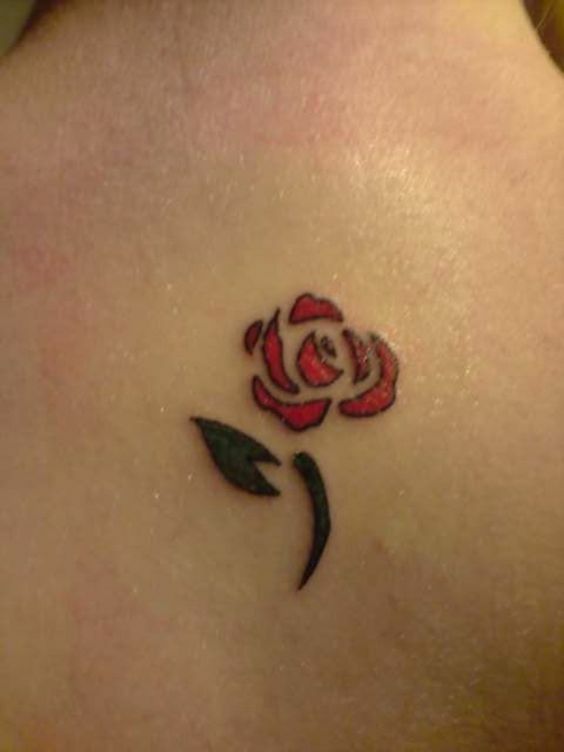 Lok at how lovely this rose tattoo looks which can be made anywhere. Castles have a very deep connection with Disney and you can also see so many of them in the Disneyland. Well, crazy Disney lovers getting famous things inked on their bodies. 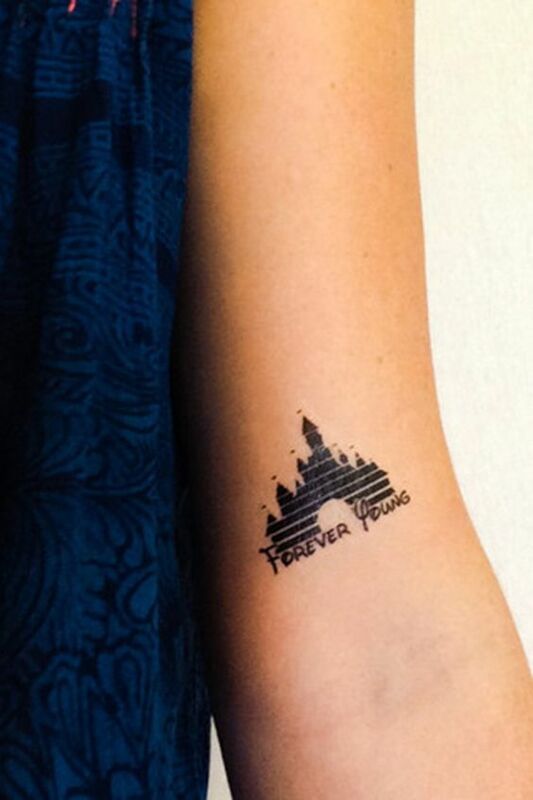 look at how amazing this tattoo is which says "Forever young" below a castle. 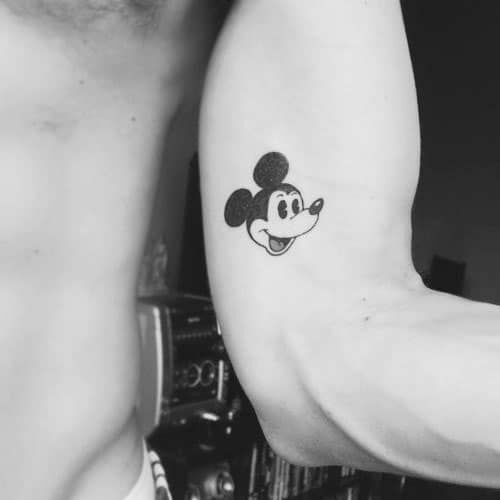 Disney tattoos are perfect for people who want to show their love for Disney. 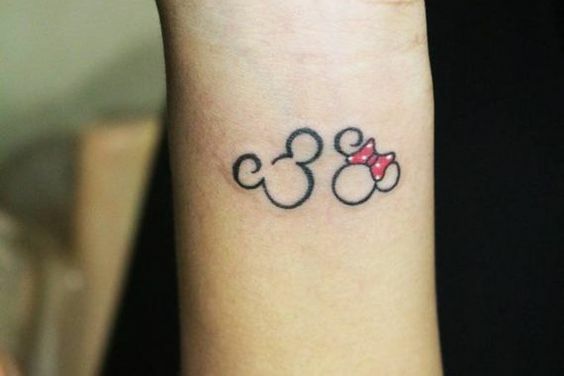 If you are interested in getting a Disney tattoo that looks amazing but simple at the same time then go for this tattoo. This is a lovely mickey balloon. Who doesn't know about the most famous character of Dinsey? Well, I am talking about the famous and the most loved Mickey Mouse. Getting a tattoo of your favorite Disney character is something very special and only Dinsey lovers will do that. 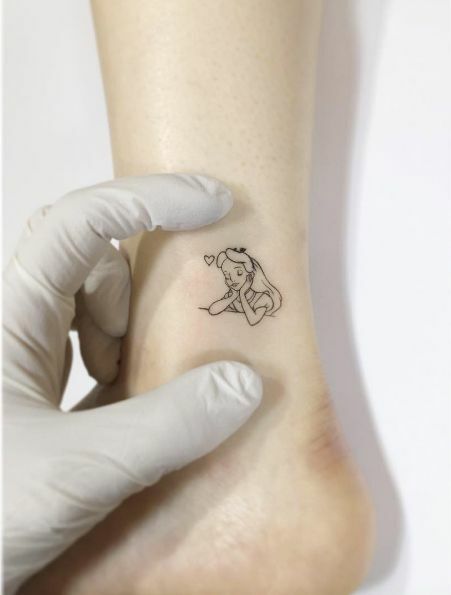 Small tattoos can never go wrong no matter made in whatever place as they are super cute. People love getting tattoos of their favorite things. 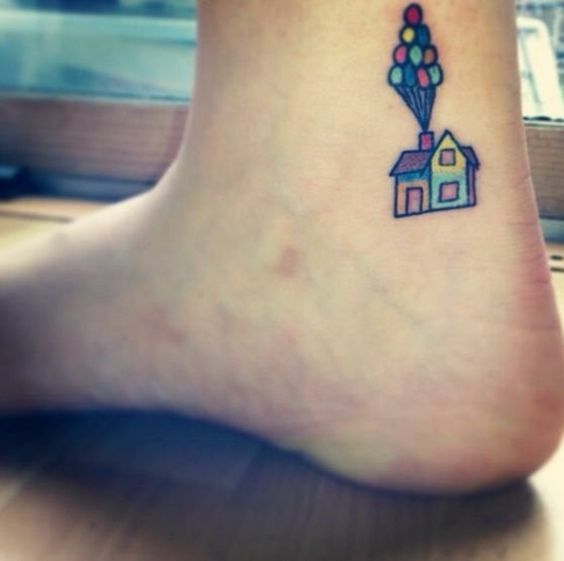 Look at how lovely this small tattoo is which has Winnie the Pooh in it and has been amde on the leg. I am sure most people will agree when I say that Winnie the Pooh was the cutest bear in the Disney channel. Pooh was loved by almost everyone because of his cute silly moves. 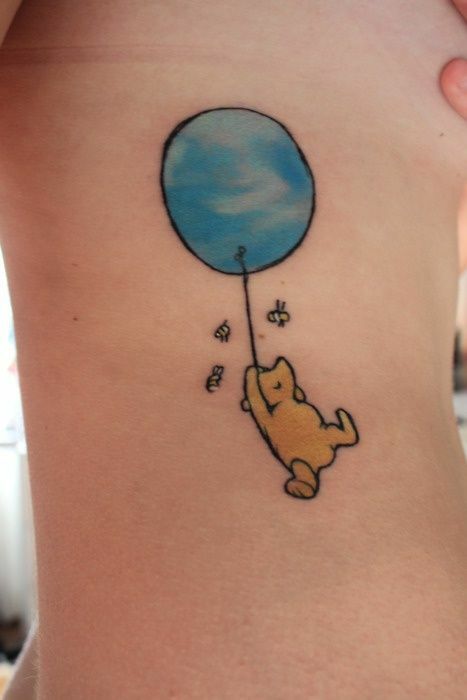 Look at how beautiful this tattoo is which has Pooh inside it. Castles have been around since ages but they were not much popular. Since the Disney came into being, they become super popular as there were a lot of shows based on castles and kings and princesses. 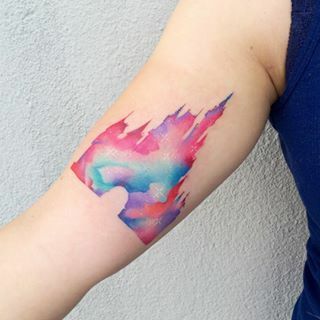 Look at this colorful castle tattoo which is going to give you Disney vibes. A Disney lover knows about the cuteness of the Winnie the Pooh. How can anyone not love that fluffy bear? Well, getting a bear tattoo made is modern art and also shows the love for Disney. 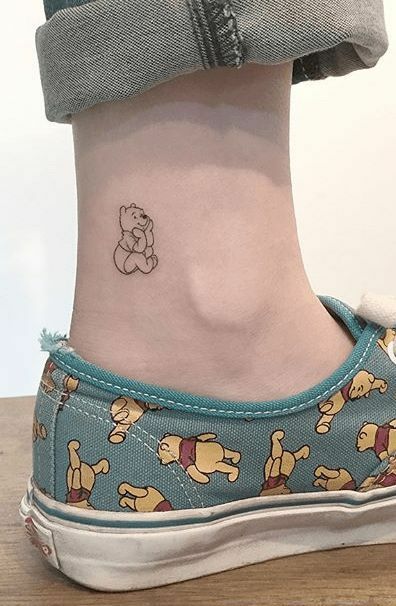 look at this tattoo which has Winnie the Pooh in it. People mostly get tattoos of things they deeply love or are simply obsessed with. 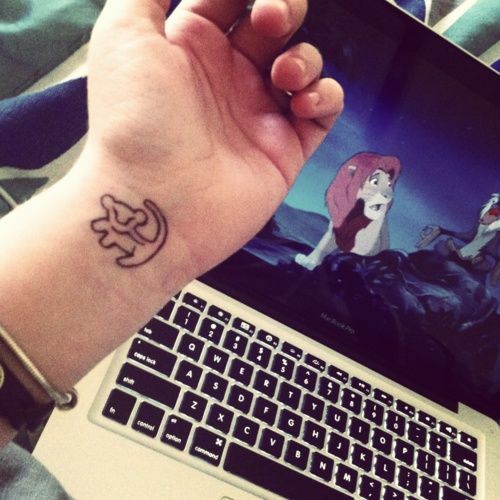 How can a crazy Disney lover not get a tattoo which is related to it? 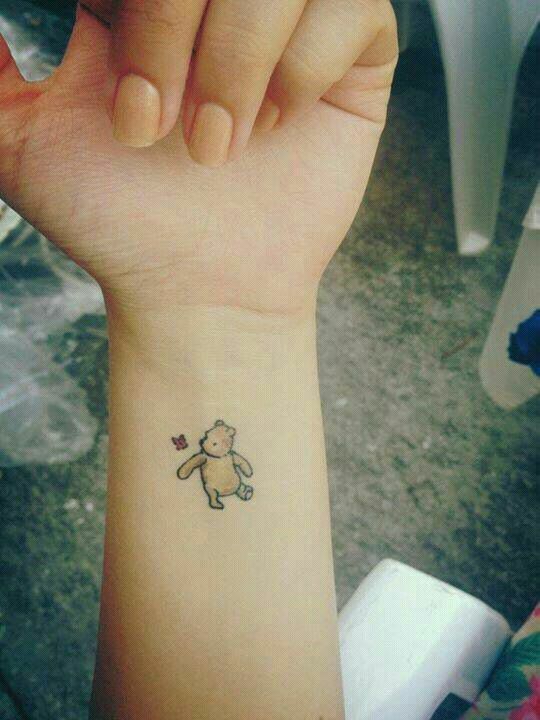 Here is a tattoo which has been made on the wrist and looks super cute. Disney is something which every kid or even grown-ups love. I'm sure 90's kids will never be able to forget the memories Disney gave them. 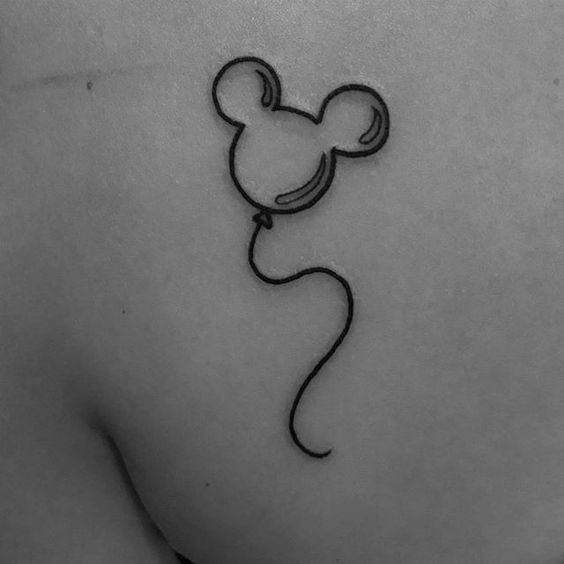 People who are crazy Disney fans love getting simple tattoos made which are related to their favorite Dinsey.